Amanda Bynes was placed under an involuntary psychiatric hold in a hospital in Los Angeles on Monday night (July 22) after she was arrested for lighting a fire outside a stranger's home. 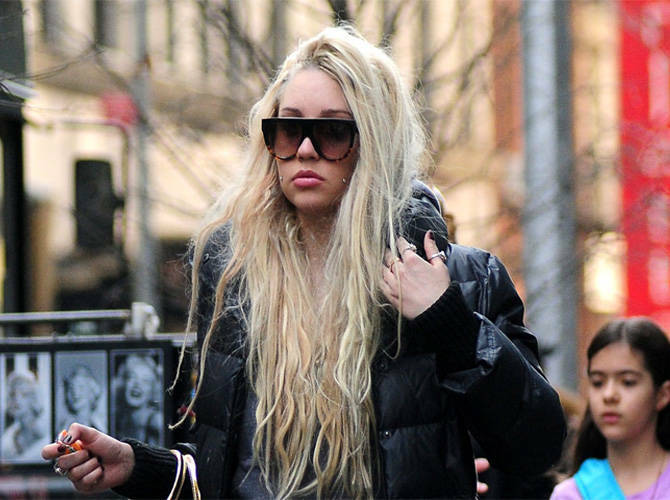 Amanda Bynes' family is "sick with worry" after she was placed under an involuntary psychiatric hold. The Easy A star's parents, Rick and Lynn Bynes, are desperate to secure a conservatorship over the 27-year-old actress, who is still being mentally evaluated in a Los Angeles hospital, after she was arrested and placed under a 5150 hold on Monday night (July 22, 2013) because she lit a small fire in a stranger's driveway. A source told gossip website RadarOnline.com: "Her parents are absolutely sick with worry about their daughter. "They are now considering going to a judge and attempting to get a conservatorship of Amanda. They have previously met with lawyers to discuss the possibility of taking legal control of Amanda's life. It's a truly devastating situation for Amanda's parents and their biggest concern is the health and safety of her." Neither of the What I Like About You star's parents has spoken to her since police officers brought her to the hospital after they decided that she was a danger to herself and others. A conservatorship could see her parents gain legal control of Amanda, who could be held in the hospital under the 5150 order, California's Welfare Institutions Code, for up to 72 hours, including her welfare and financial affairs until she gets her life back on track. The insider added: "She could be released whenever doctors determine she is no longer a danger to herself, or others. "If Rick and Lynn are going to seek a conservatorship, they need to act very, very quickly." Amanda was arrested after she lit a fire in the driveway outside an elderly woman's home in the Thousand Oaks area of Los Angeles at around 9pm on Monday. She was allegedly carrying a "little red gas tank", according to TMZ.com. The victim told police that she did not know the actress, who was found close to the crime scene.